I'm playing along with the My Favorite Things Color Challenge 66 today. The colors they're asking us to use are orange, cranberry, teal, and tangerine. This is a retirement card (I know, kind funky) and to create it I began by using the dotted swiss embossing folder on the card panel and then die cutting the window through the panel. 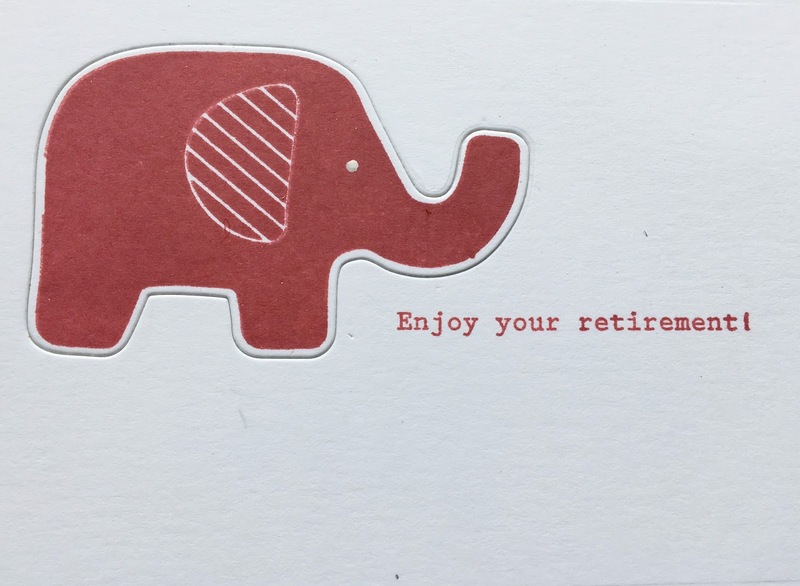 I stamped and die cut the elephants in each of the four colors...a note on the ink though. I usually use the Hero Arts Shadow Ink for solid images, but found that the little Memento ink drops sold at Hobby Lobby worked just as well, if not better. 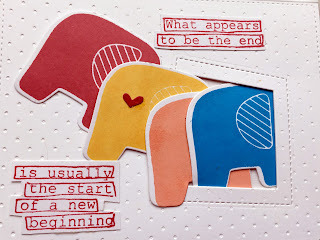 Okay, then I used a sentiment from one of the Dylusions stamp sets and cut it out by hand so I could split it up. 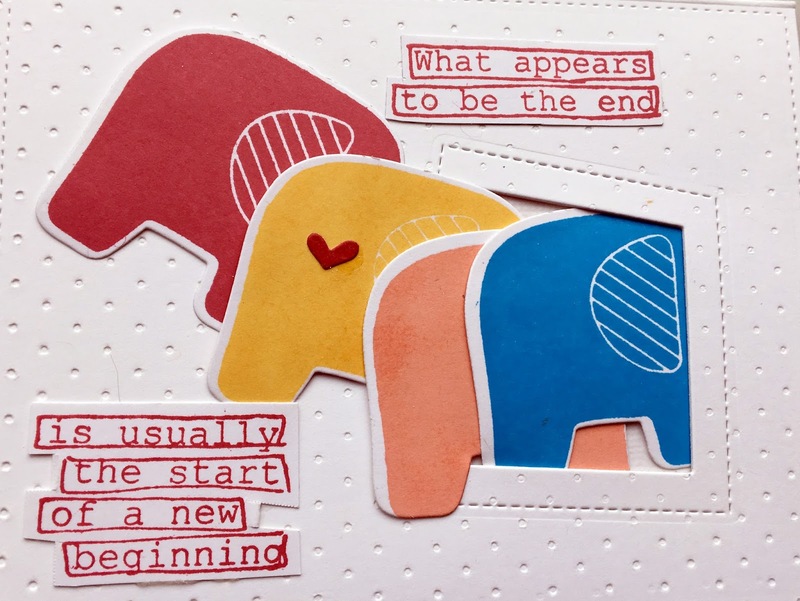 On the inside I did an extra elephant and used a sentiment from WPlus9 to finish it off.